TrackballWorld 11 piece computer tool kit. 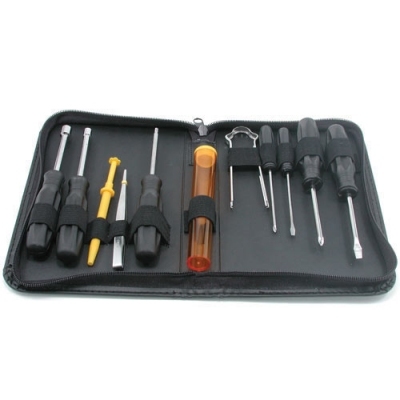 This mini-tool kit contains all the basic tools you'll need to open the case of almost any home or office computer so you can clean, install options, make routine hardware changes, etc. Be prepared - you never know when you're going to need to have a screw driver or a pair of tweezers handy. Black zippered case folds closed for compact storage.